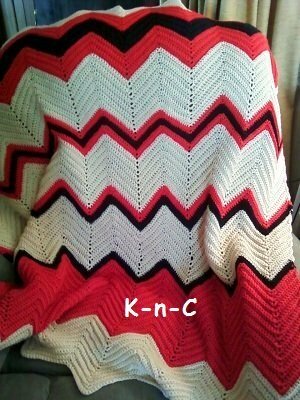 Crochet ripple afghan with step by step instructions and photos to help you make a perfect afghan. 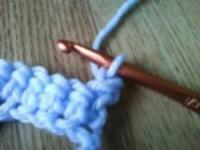 Beginners often find a ripple a little bit confusing when they are just learning to crochet. But after you do a few rows and get going you will find that making a ripple afghan is just about the easiest blanket you can make. 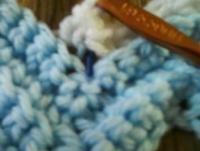 Showing you how to make a ripple crochet blanket using written instructions with pictures. You will need to think of the ripple as mountains and valleys. 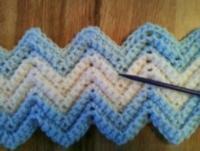 To create the up and downs for your Crochet ripple afghan you may want to think of it as mountain peaks (above picture) First you will need to make a chain to the amount of the pattern requirements. Turn and sc beginning in the second ch from hook. At the end of the row turn. 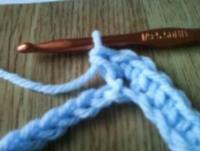 Now remember to crochet in the back of the sc stitch and this will give it a ridge. You will now sc however many times the pattern says, no doubt 10 or 12 sc. Your first couple of rows will not look like much but by the time you have 4 or 5 you will see this clearly. 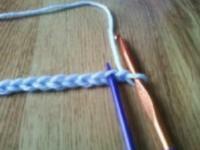 Now you will add 3 single crochet in one stitch This will make the mountains. This will be repeated throughout the row and is the up and down or zig zag of the ripple. After changing color at the end of the row. You will continue with this pattern changing the colors as you wish. But of course it is best to change at the end of the row. As you are adding rows it becomes very easy to see where you are now. Just keep repeating these rows to what ever length you want. 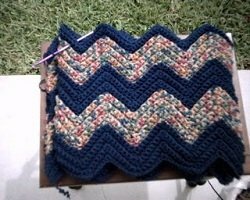 A crochet ripple afghan is that easy. 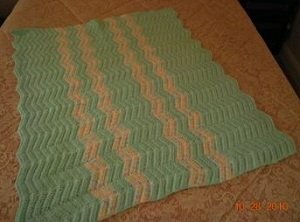 Two sizes - 15" X 17" for a preemie size and 30" X 34" for a baby size. Row 1 : SC into second chain from hook and next 4 chains. *3 SC in next chain. SC in next 4 chains. Skip 2 chains. SC in next 4 chains. * Repeat from * to the end. CH 1, turn. Row 2 : Skip first SC. Working in back loops only, SC in next 4 SC. *3 SC in next SC. SC in next 4 SC. Skip 2 SC. SC in next 4 SC. * Repeat from * to end. CH1, turn. Attach Color B. Row 3 : Using Color B, Skip first SC. Working in back loops only, SC in next 4 SC. *3 SC in next SC. SC in next 4 SC. Skip 2 SC. SC in next 4 SC. * Repeat from * to end. Row 4 : Skip first SC. Working in back loops only, SC in next 4 SC. *3 SC in next SC. SC in next 4 SC. Skip 2 SC. SC in next 4 SC. * Repeat from * to end. CH1, turn. 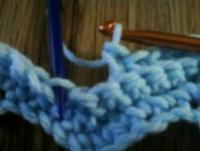 Drop Color B, pick up Color A.
Repeat Rows 3 & 4. End with Color A.